Some Christians call homosexuality an abomination, so let’s talk about that. – a lying witness who testifies falsely, and one who sows discord in a family. Comparing those list items to other attributes, can we put haughty eyes, a lying tongue, and hands that shed innocent blood in the same category as blue eyes, a bumpy tongue and left-handedness? What about “a heart that devises wicked plans” and “feet that hurry to run to evil” – are they in the same category as congenital heart disease and clubfoot? Of course they aren’t because God is a loving God who would not hate us for what he made us. We can choose not to run to evil, but we can’t choose different feet from those attached to our ankles. So which category does homosexuality fit into? Handedness is actually a good comparison because the facts and numbers match up very closely. Approximately 8 percent of the world’s population is left-handed and 5 percent is homosexual, and in neither case is race, geography or culture a factor. In both cases males slightly outnumber females, and in both cases, 2 is the average age of first behavioral appearance. In both cases the trait runs in families, and a person with siblings of that orientation has an elevated likelihood of having that orientation as well. 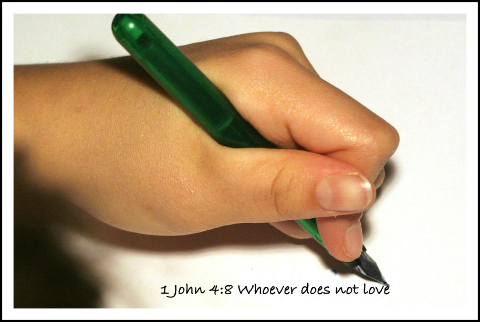 Neither homosexuality nor left-handedness is considered by experts to be a mental or physical disease. Neither orientation is considered to be chosen, and neither can be altered clinically. Just like being gay, being left-handed can make life a little more challenging. But just like being left-handed, being gay is not a sin. Through the grace of God, we are what we are – black, white, tall, short, left-handed, homosexual – and the Bible’s pervasive message is that we are created in God’s image and loved as reflections of God. Back to the abominations in Proverbs 6: Left-handedness and homosexuality don’t fit into that list, but as perfect examples of shedding innocent blood, devising wicked plans, testifying falsely, and sowing discord, homophobia and discrimination and hate crimes against LGBTQ people definitely do. The Bible prohibits everything from eating shellfish to trimming your beard. For future reference, if you’re selectively choosing “abominations” to preach against and you settle on one you don’t personally grapple with, you are cheating. That’s just a clever way of not addressing your own moral failings. There’s a word for that, and it’s not Christian; it’s hypocrite. Take another look at the list from Proverbs 6. Surely we can all find ourselves somewhere in there, which means casting stones shouldn’t be on our to-do lists anyway. That is such a powerful statement. I am struck by your bold language here, but also by how you break it down. I like that you related it to handedness. I am a left-handed person. My grandfather tried VERY hard to get me to be a right-hander and I remember it making my mother furious. She thought it would confuse me and just make things harder than they already were. When I think about that time and relate it to my fellow human beings in the LGBTQ* community, I think I understand better. There’s a beautiful love story that came out in the cinemas in 2015 called “Carol,” that shows how destructive and fruitless it is to try to live against who you are (in the film she says, “What good am I to [her daughter] if I’m living against my own grain?”). It’s one of the most powerful depictions I’ve seen on film. Your post builds on that understanding for me. Thank you! Deborah, I love, love, LOVE your equating of ‘moral-speak’ with physical characteristics. Speaking of images, your banner is perfect. The left-handedness comparison is striking and helps me really identify, in my own body, with the LGBTQ community. The statistics on accidental death are actually higher for left-handers than for right-handed folk, because it is a predominantly right-handed world. Chilling implications there! Many thanks for your fine post. I’ll be re-tweeting this one.